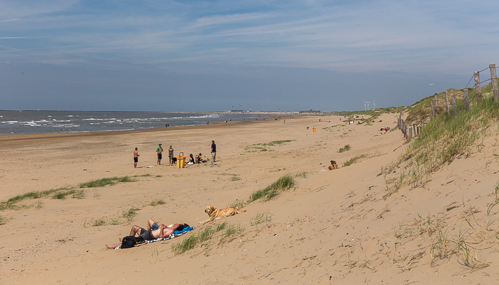 I spent two weeks in the Netherlands in July (more photos to come soon! 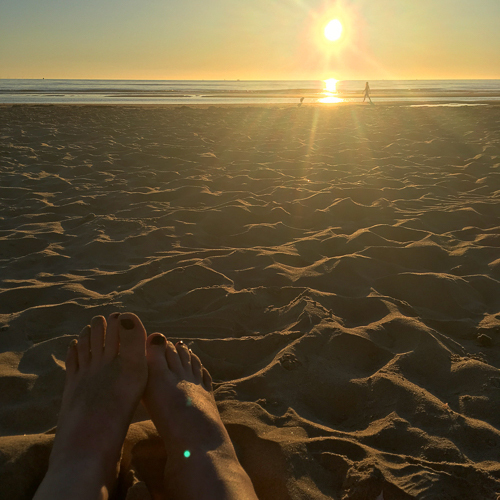 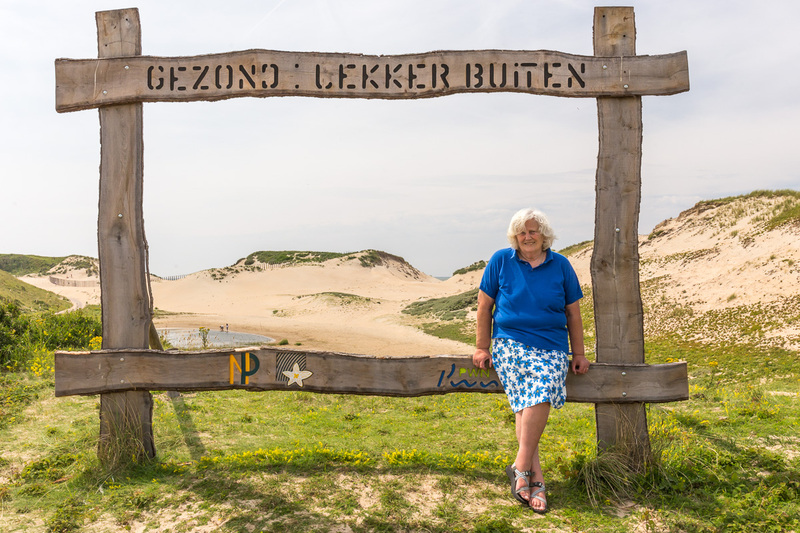 ), and of course I visited the dunes and the beach several times. 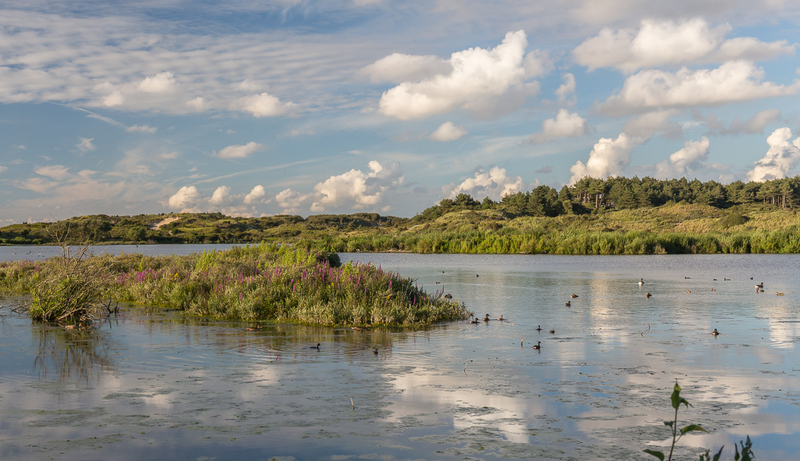 I grew up with this National Park Zuid-Kennemerland in my backyard, and I love this area! 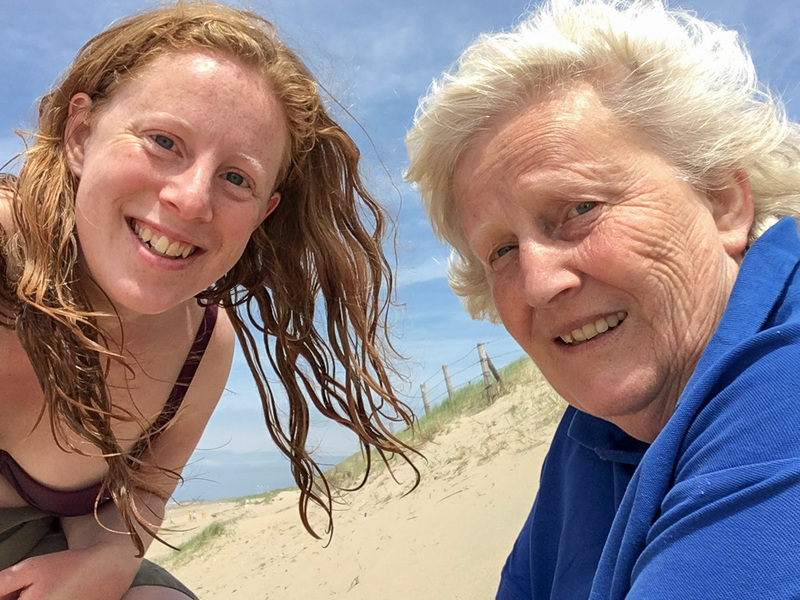 One sunny Sunday afternoon I went to the beach with my mum. It was windy, but warm, and I enjoyed a refreshing swim! 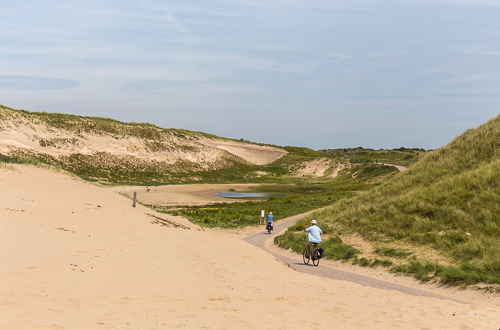 The dunes are constantly changing, and they have now let some of the dunes “free”, meaning the sand can move with the wind and at times cross the cycle path. Later in the week I took a friend on an evening bike ride, and this is the view we had at het Vogelmeer (the bird lake) – so pretty! 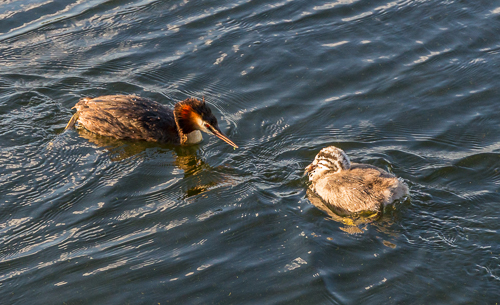 There’s a bird hide there, and we watched lots of bird, included this great crested grebe (fuut in Dutch) feeding its young.